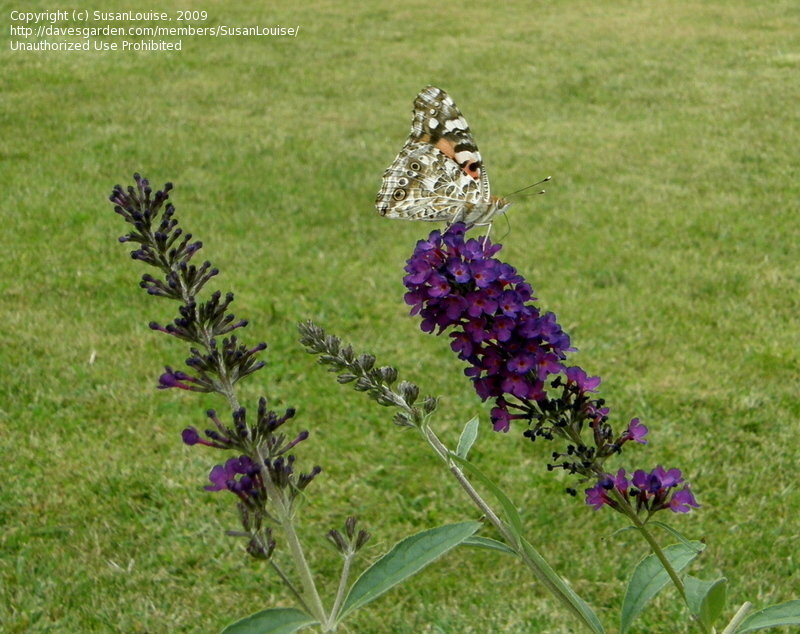 Taken 24th July 06. 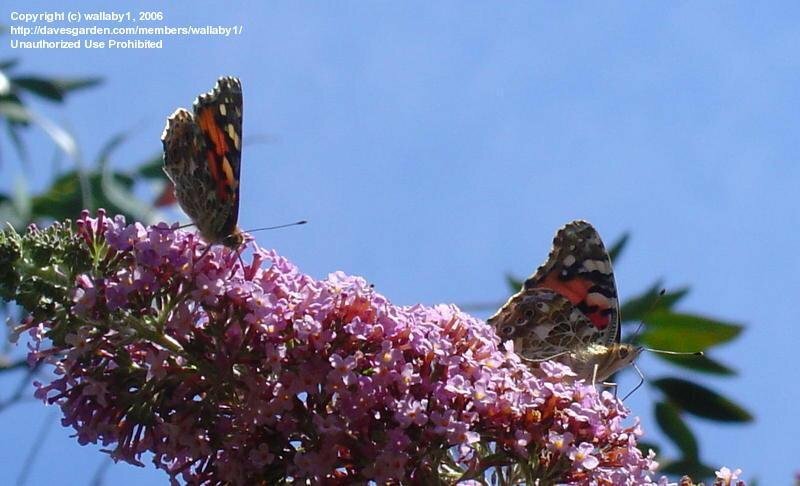 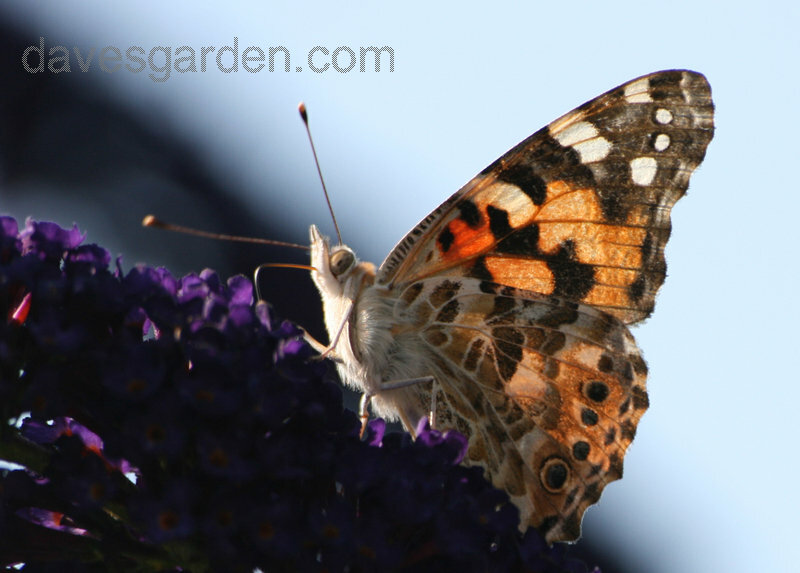 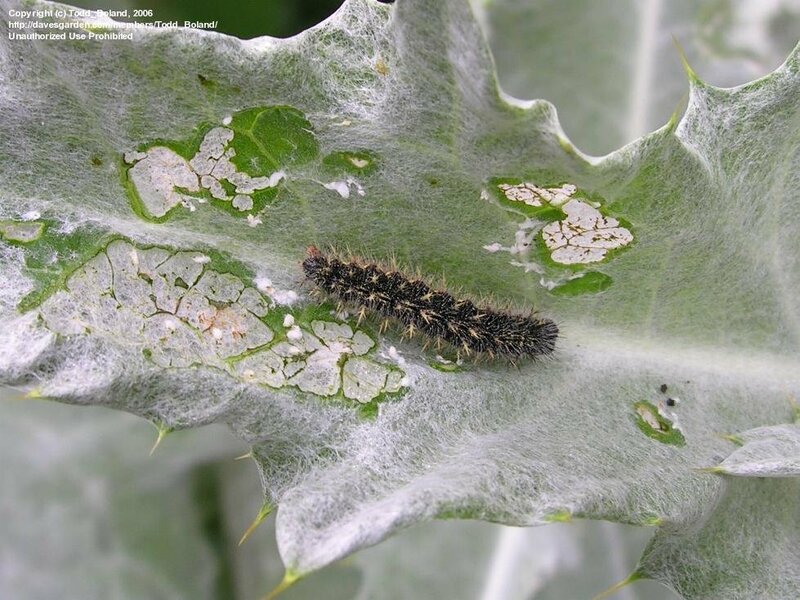 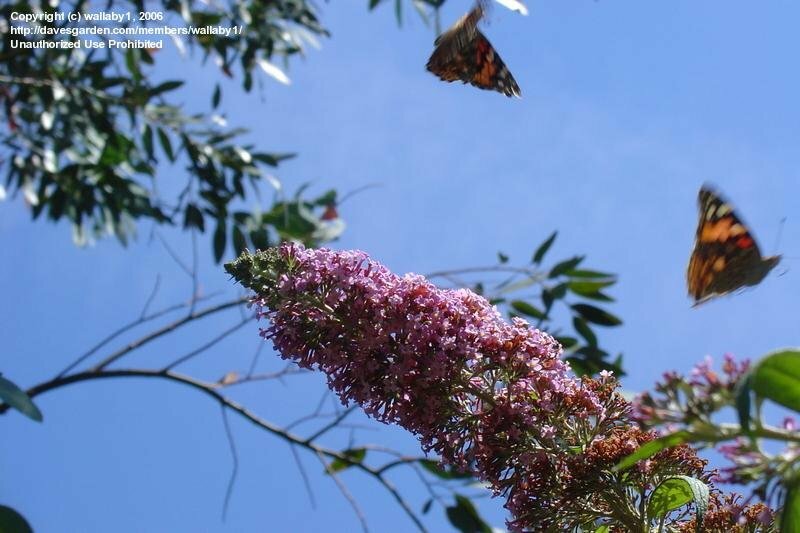 They arrived to feed on the Buddleja and disappeared when it was finished. 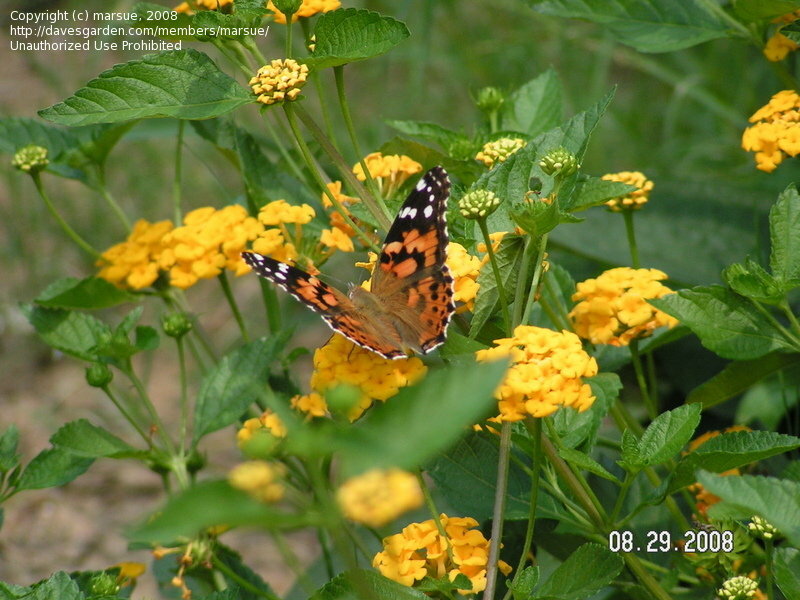 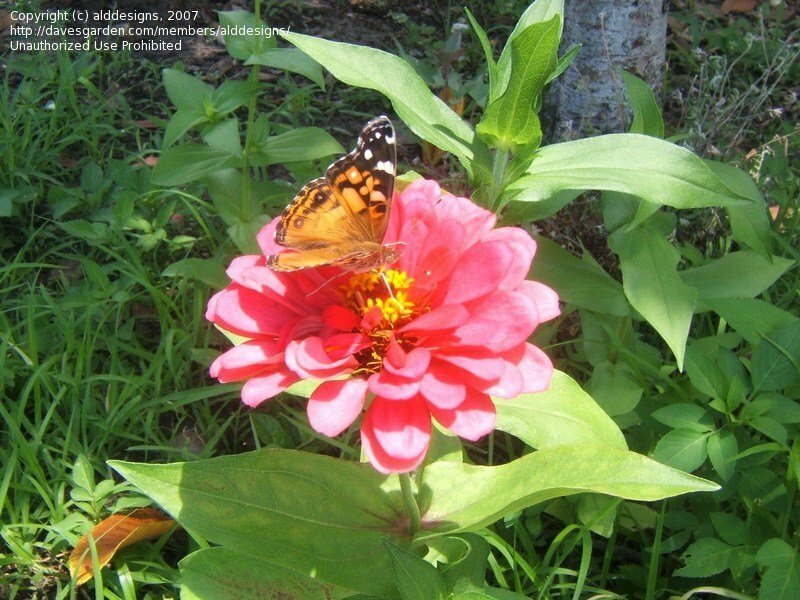 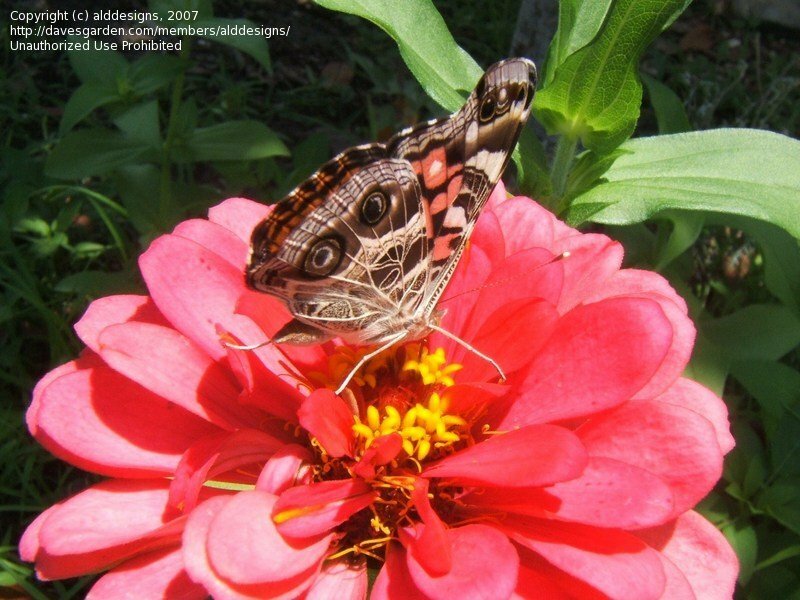 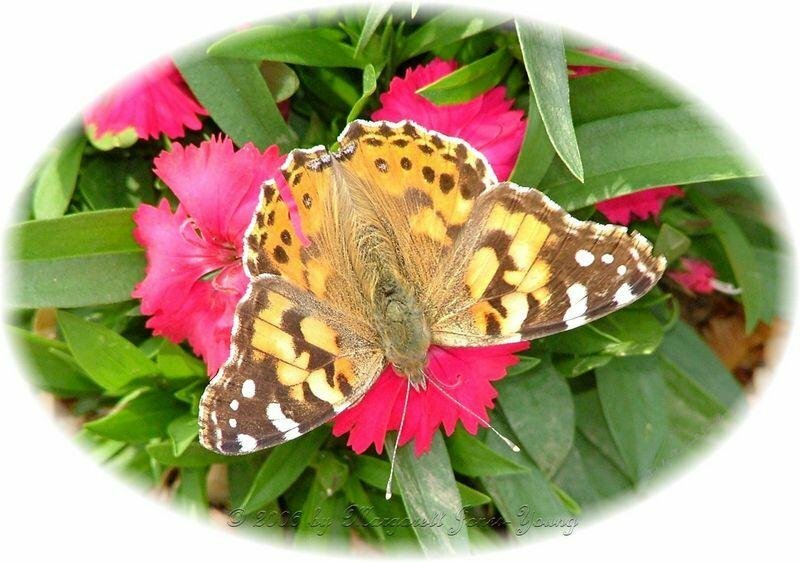 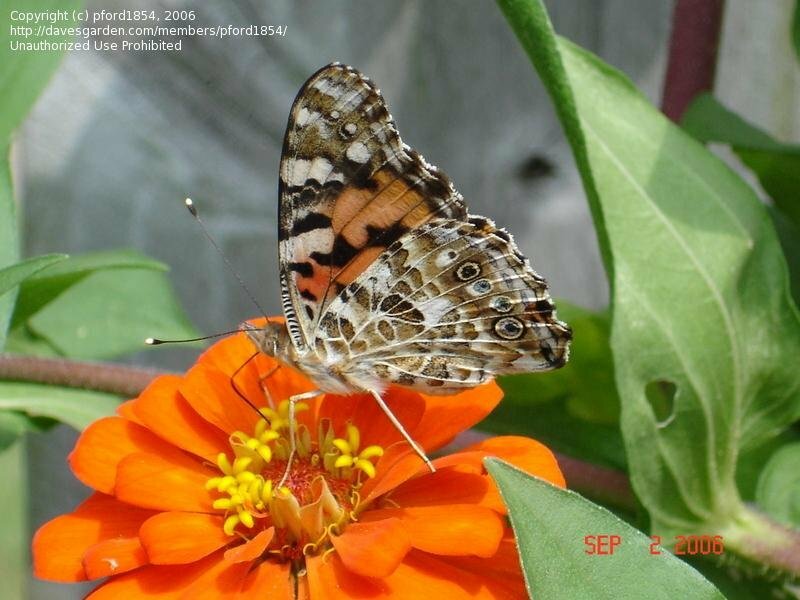 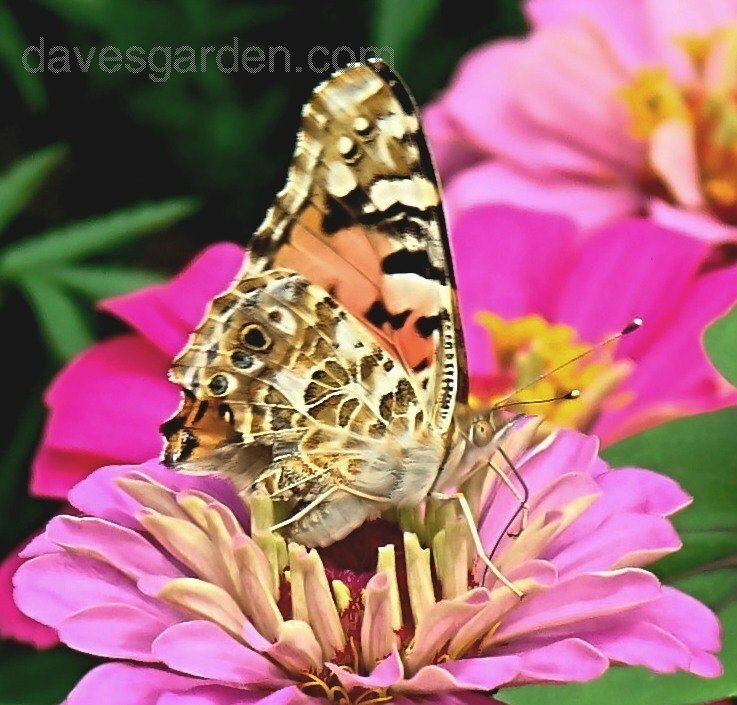 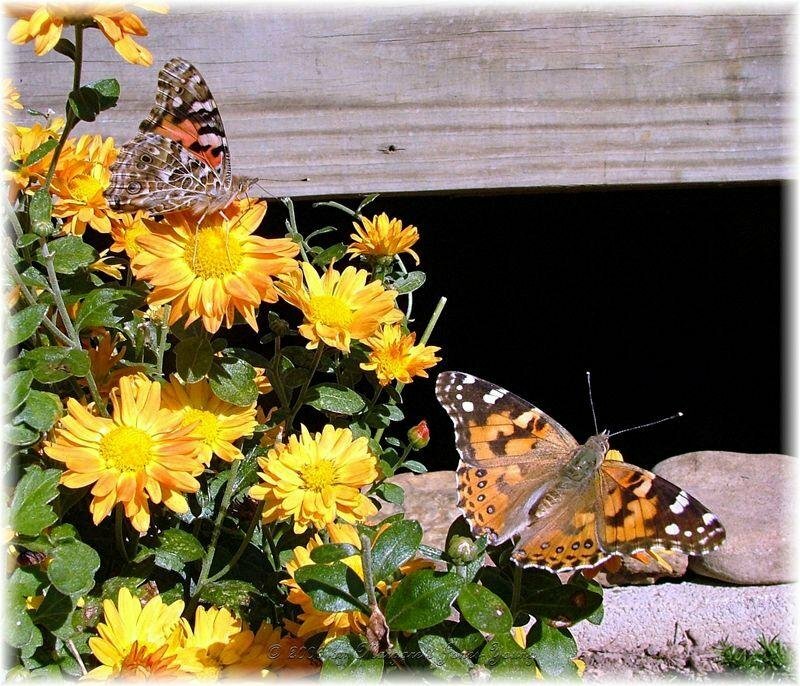 Painted Lady - Hardiness Zone 7b - Loves Zinnias. 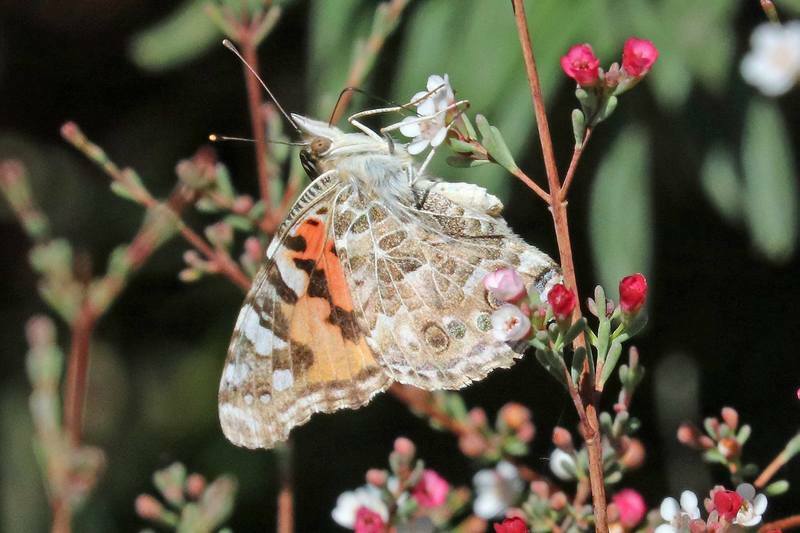 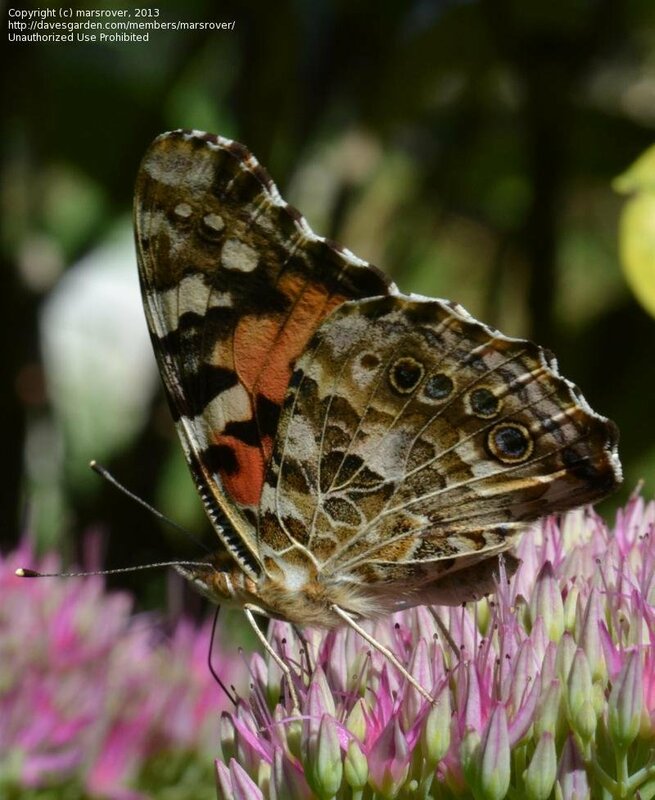 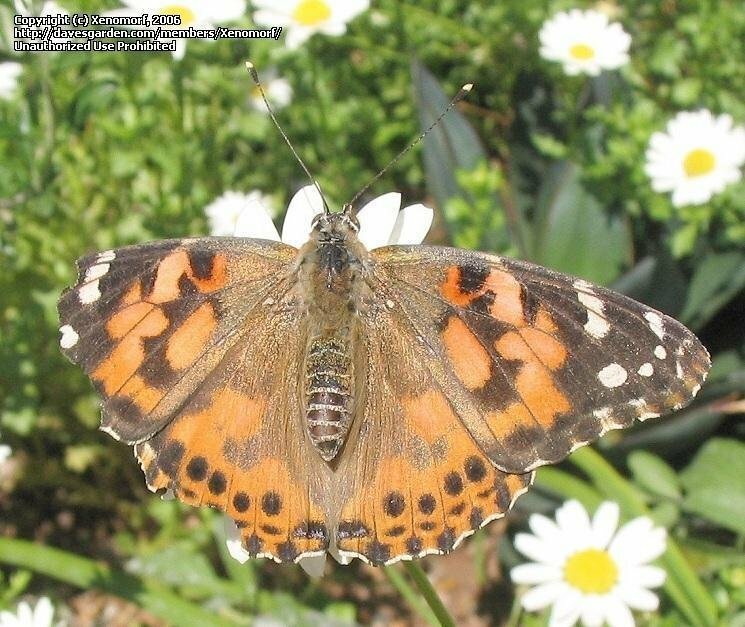 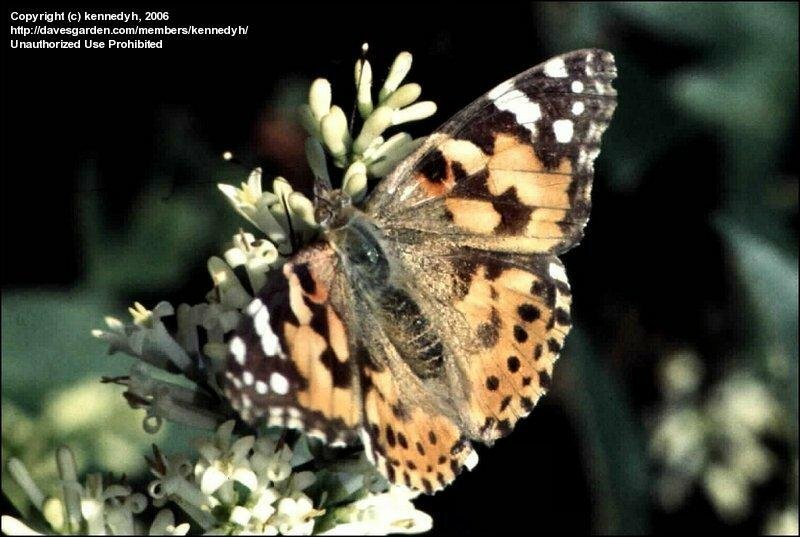 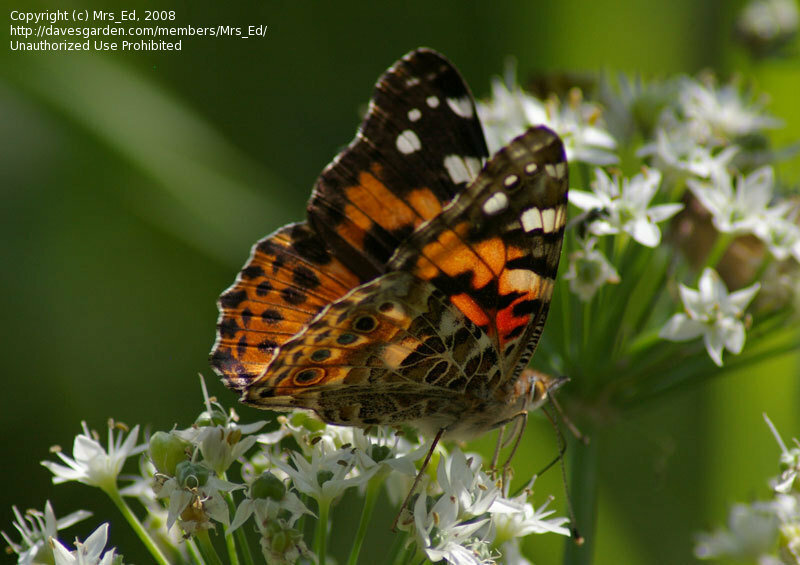 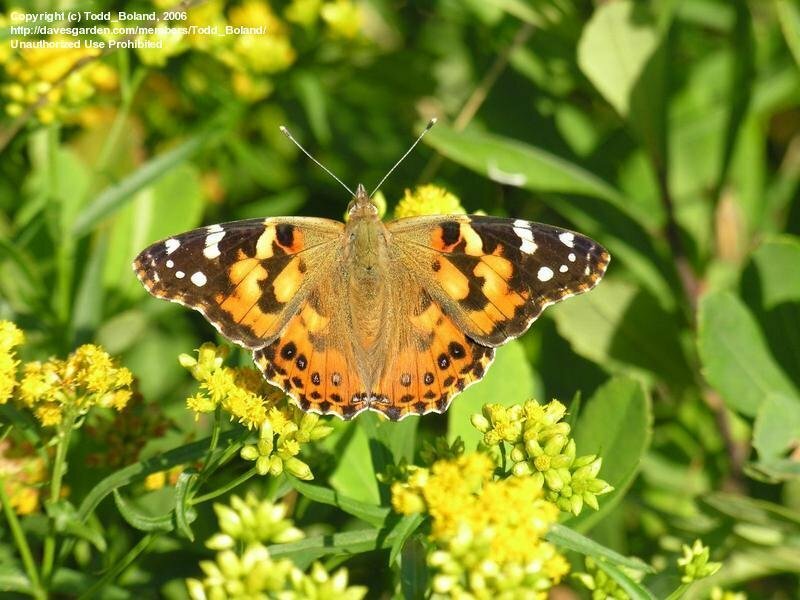 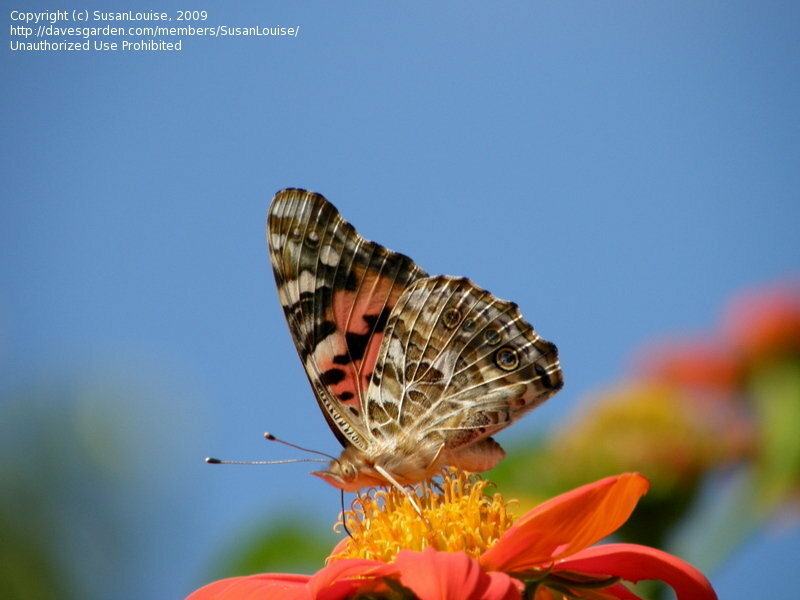 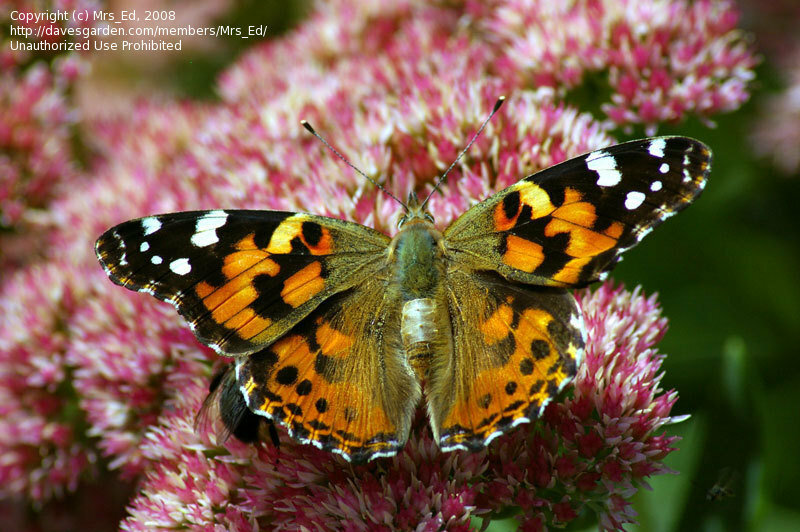 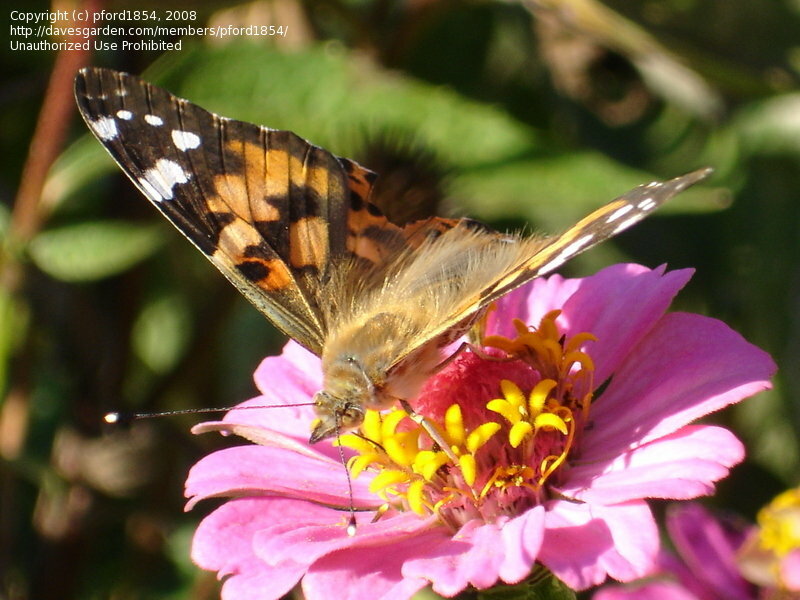 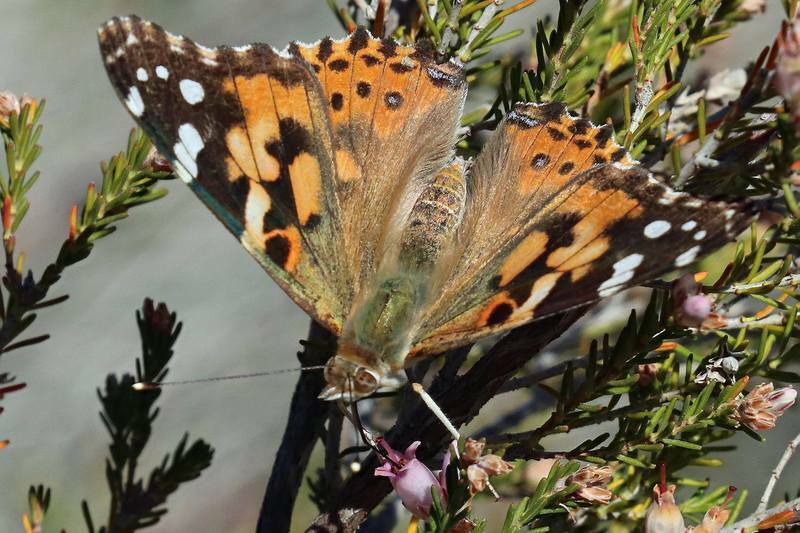 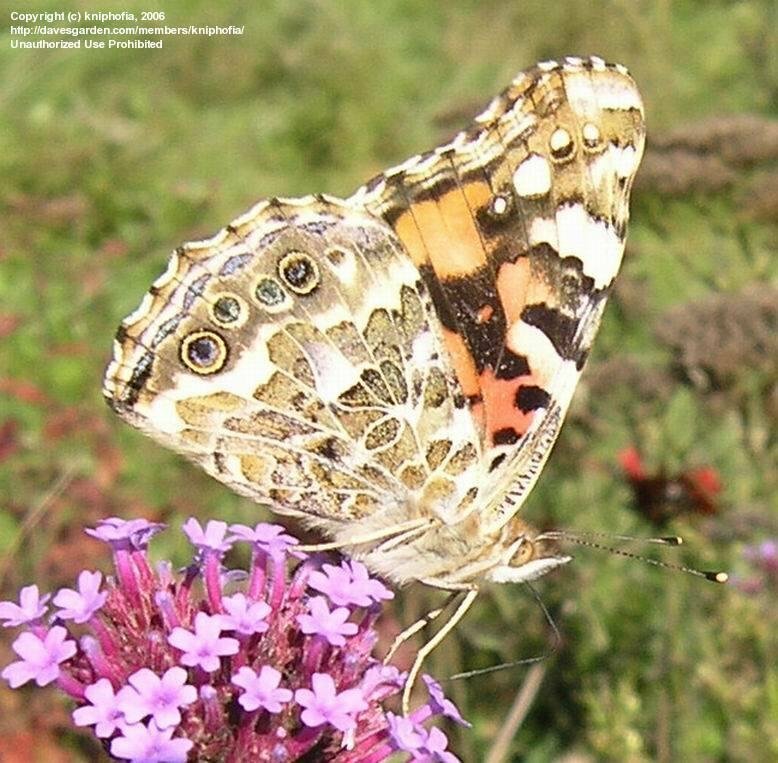 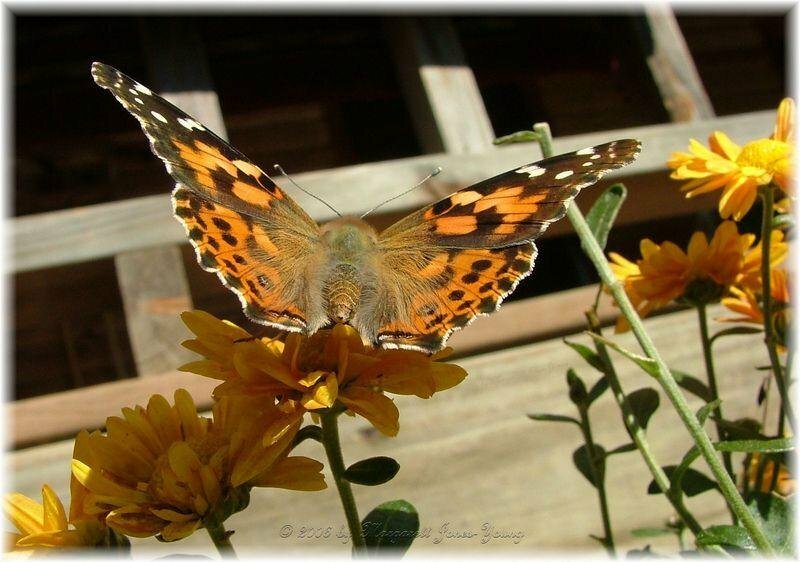 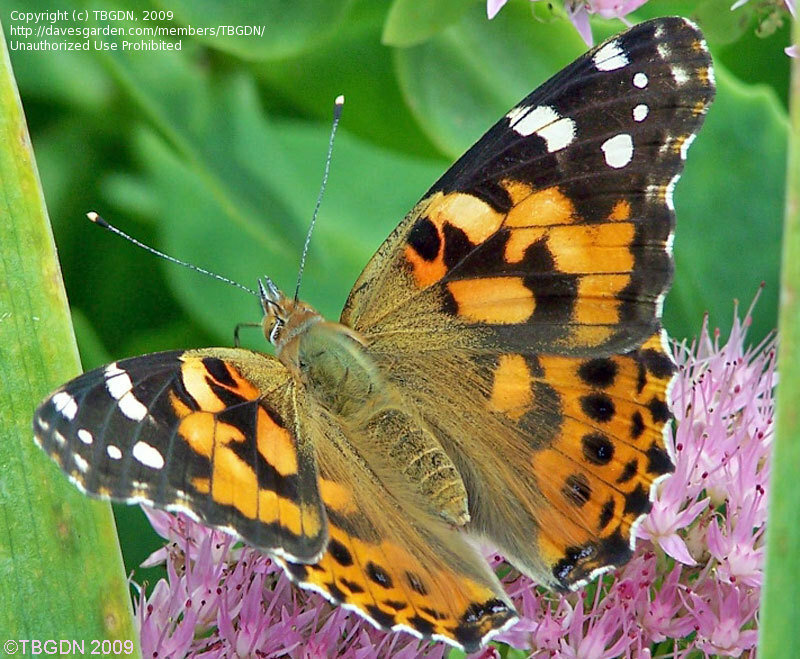 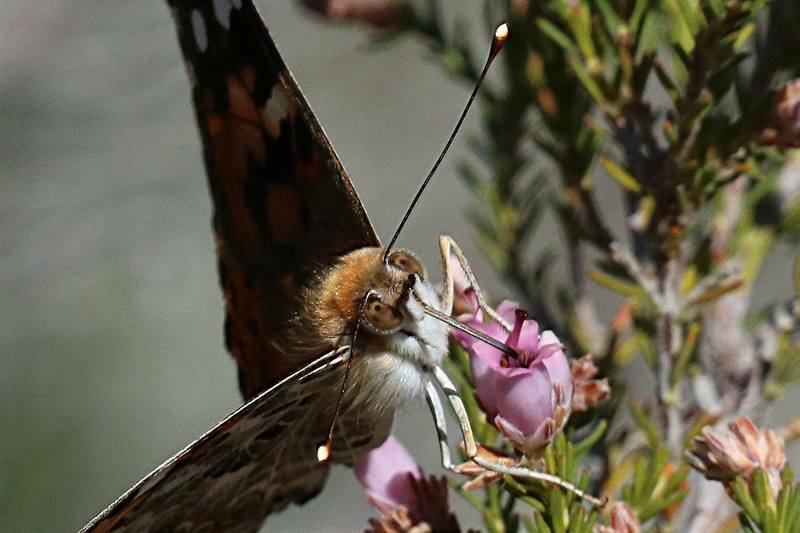 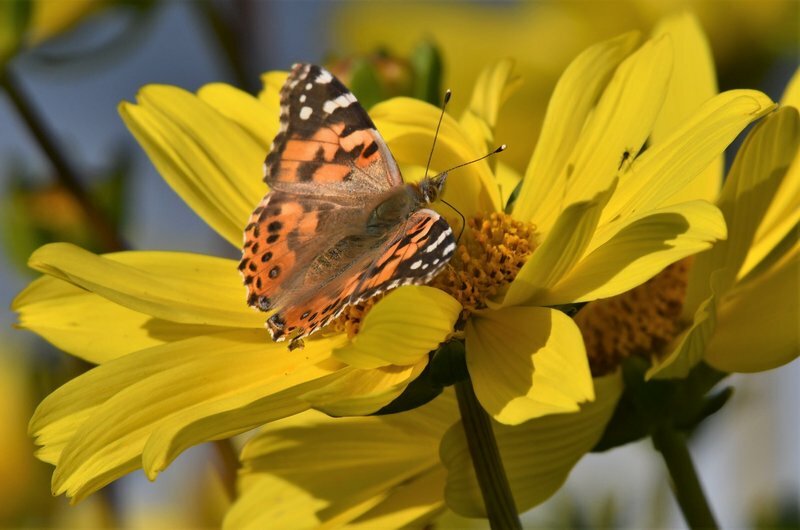 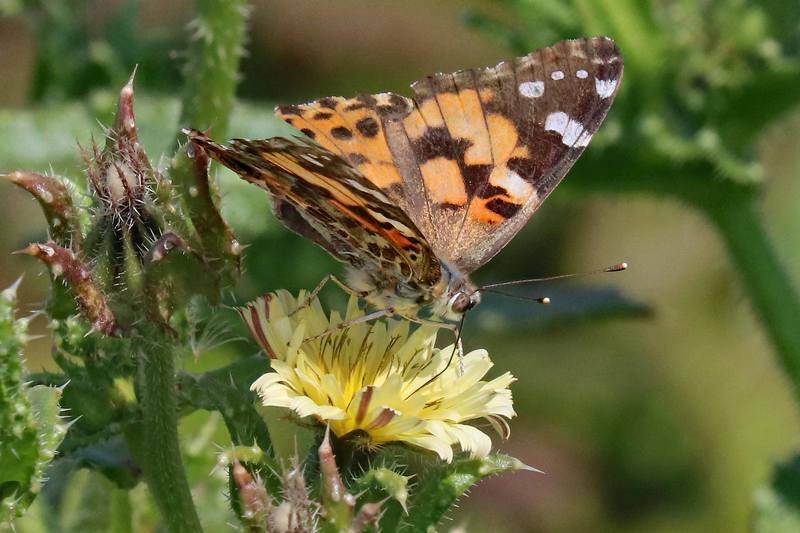 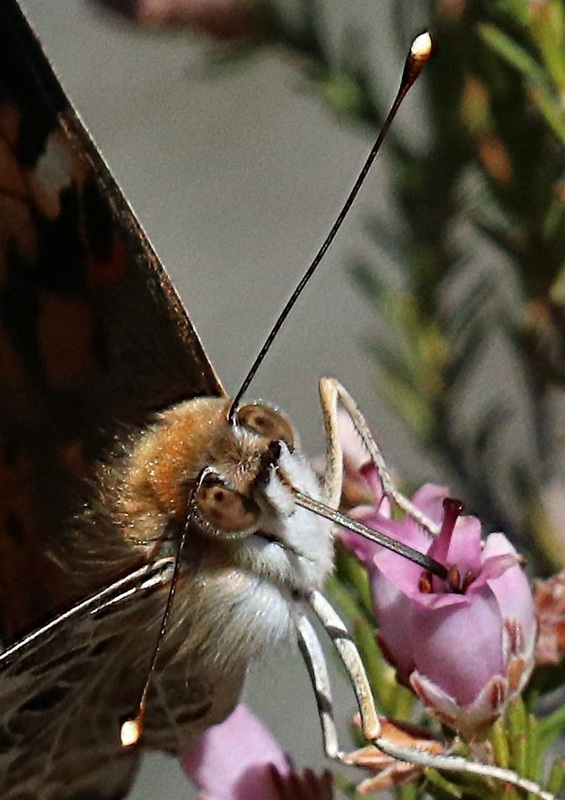 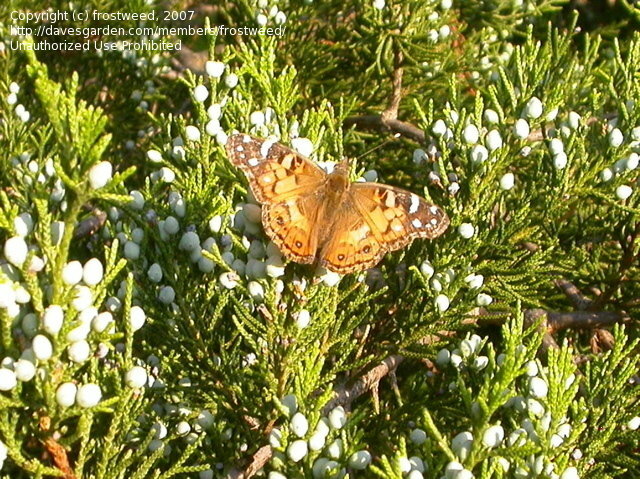 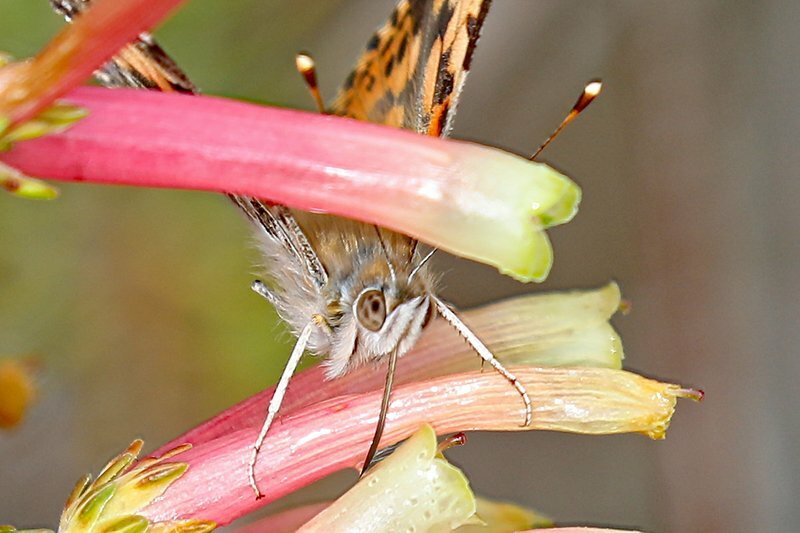 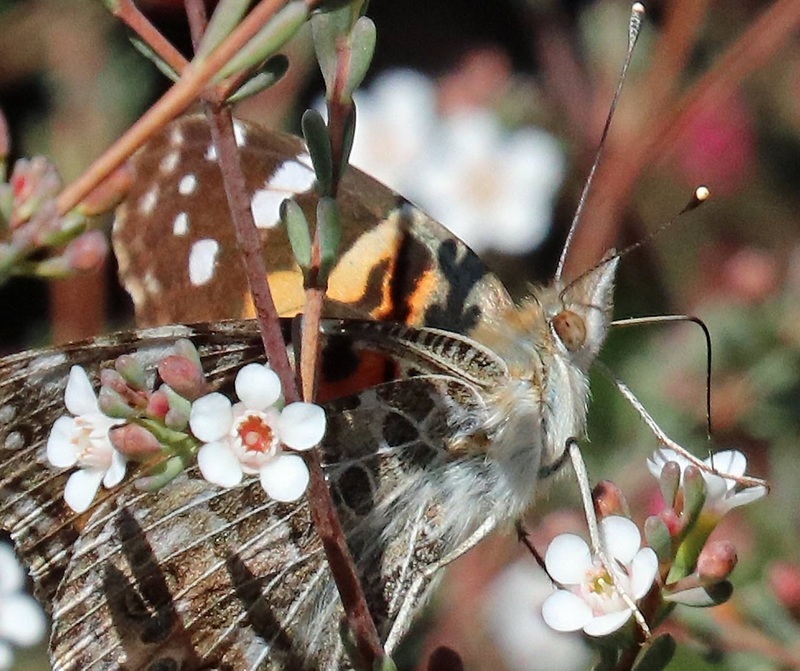 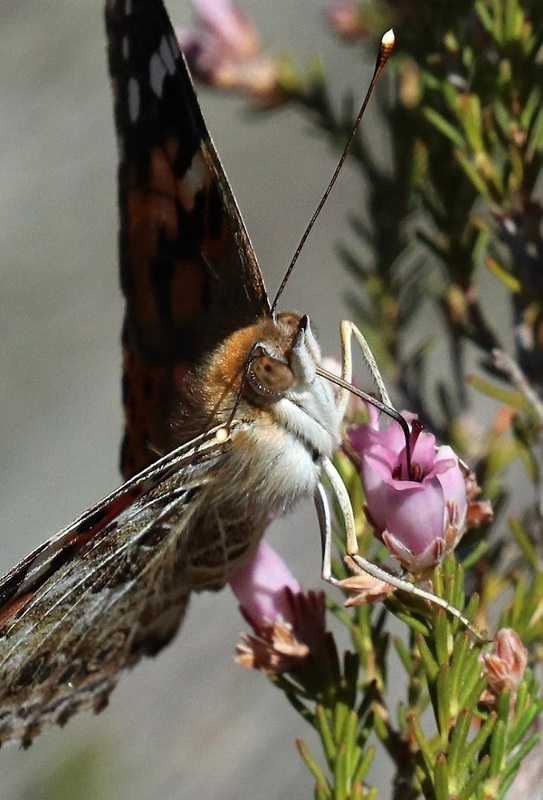 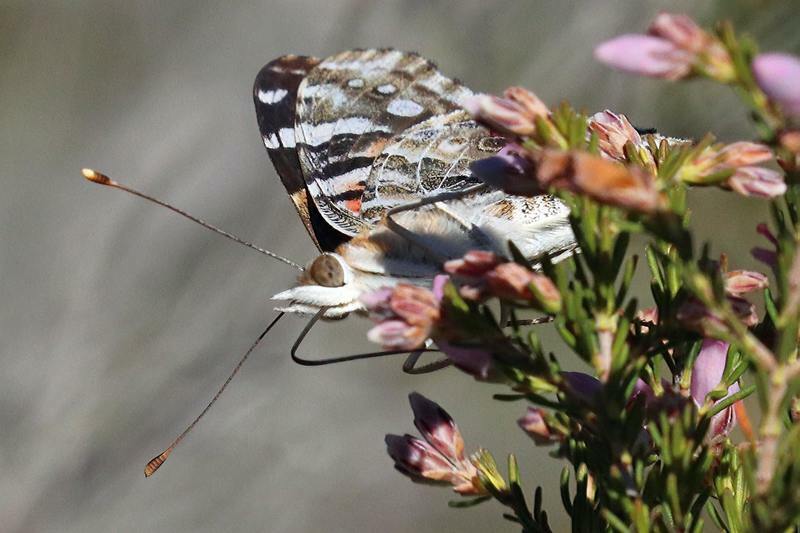 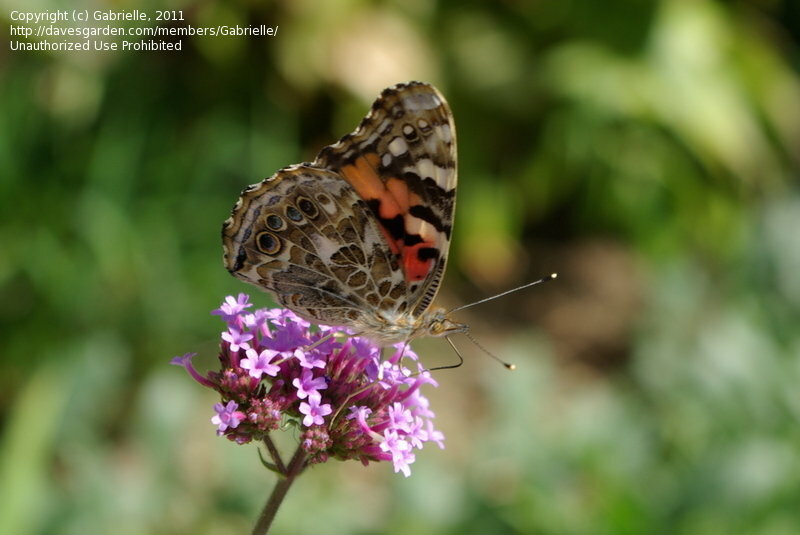 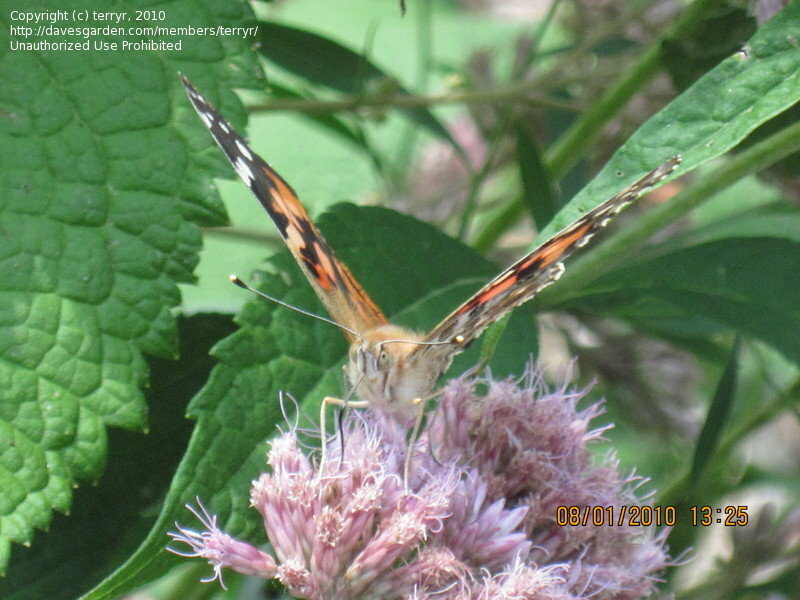 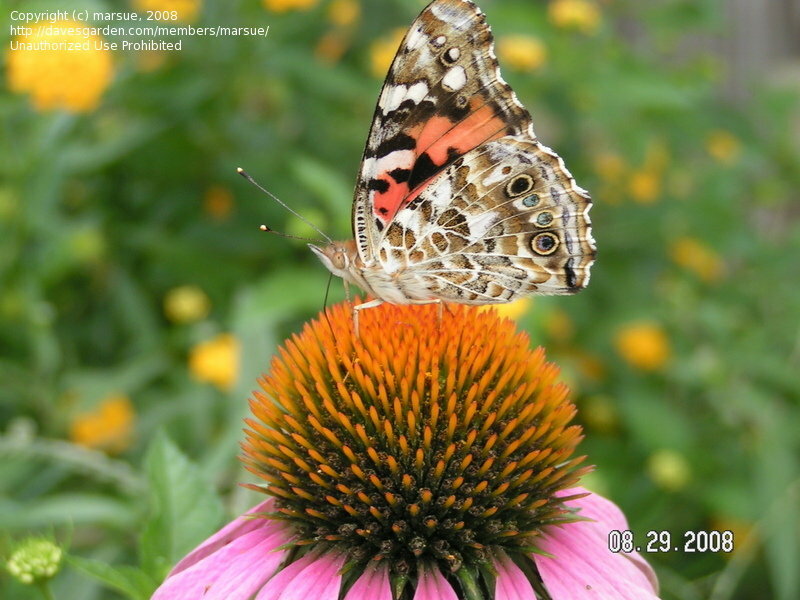 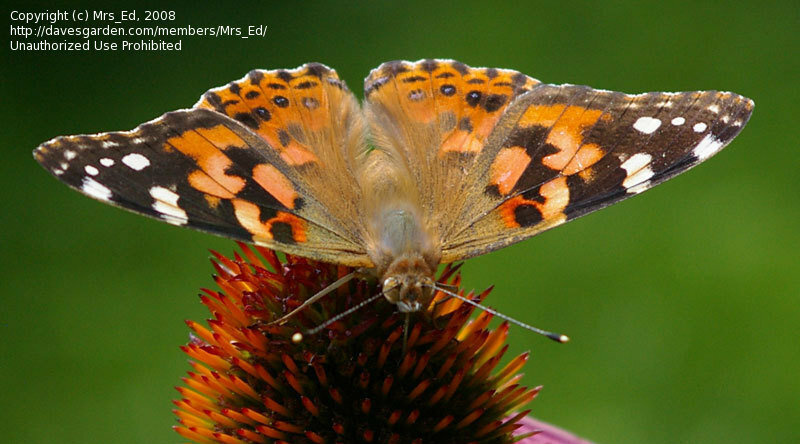 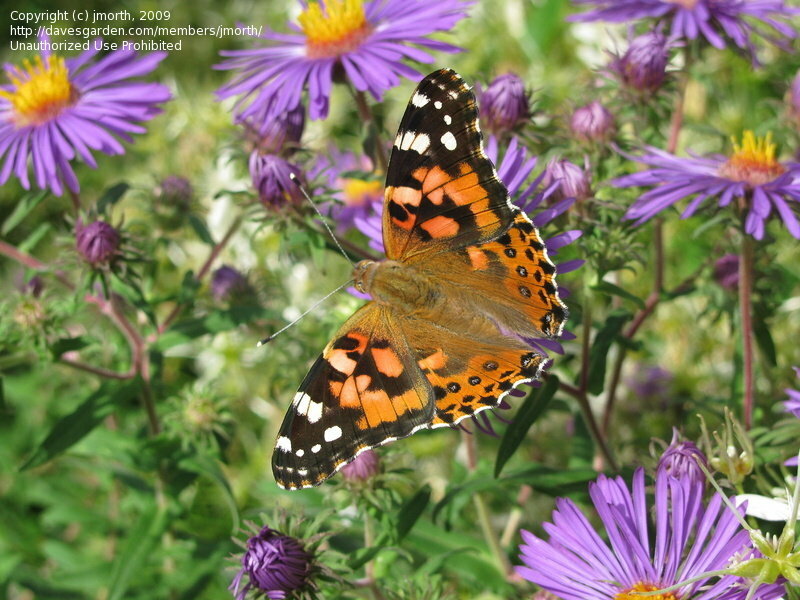 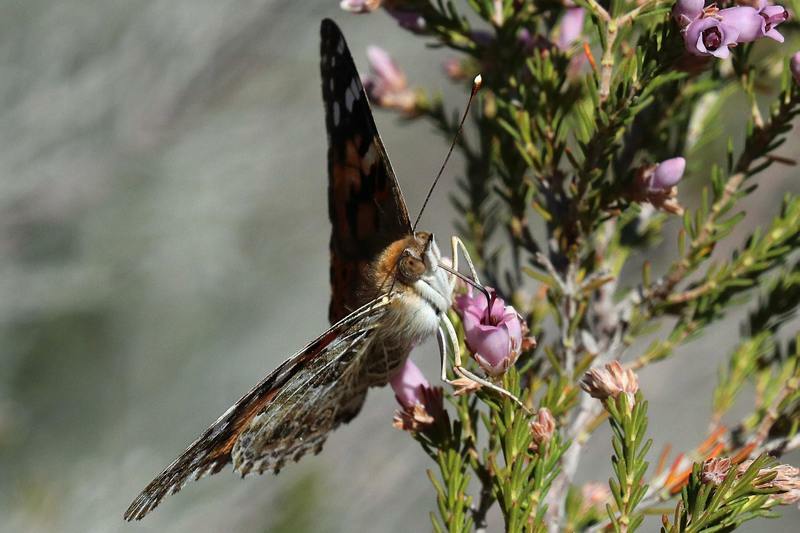 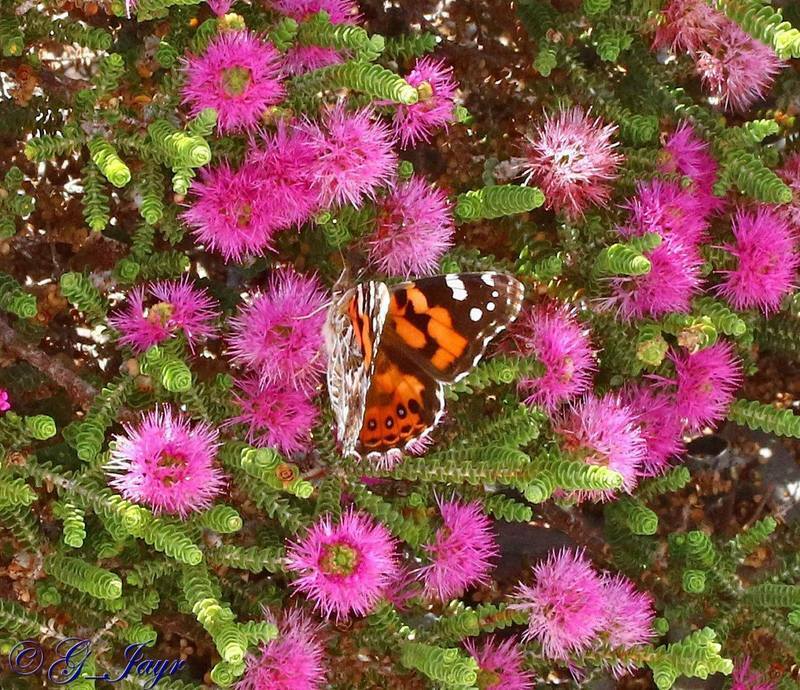 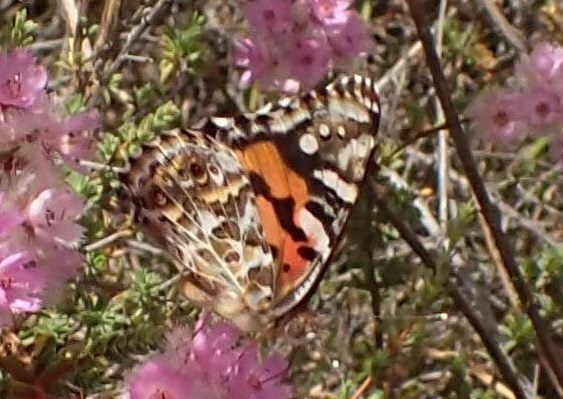 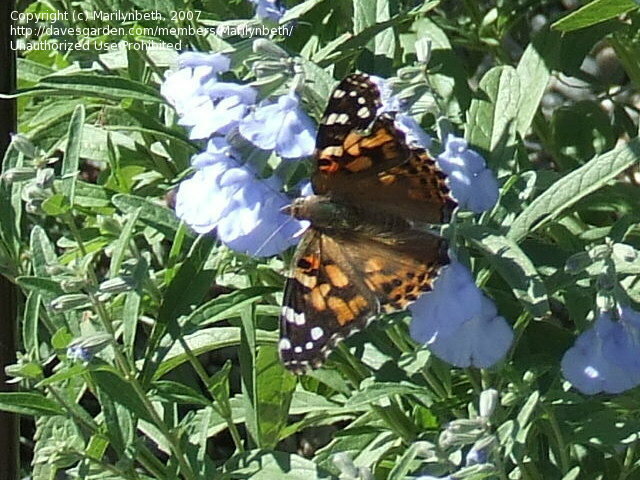 Painted Lady (Vanessa cardui) at Pappy Elkins Wildscape. 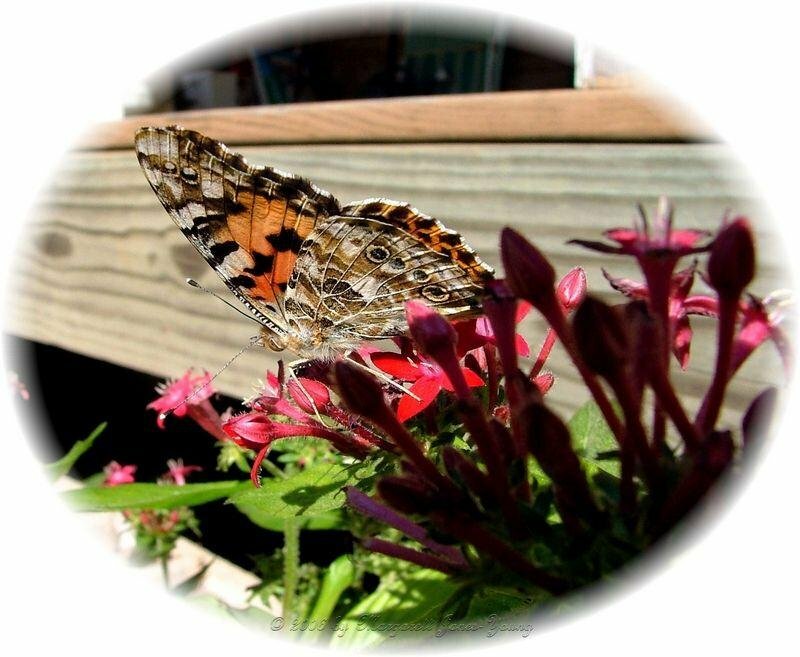 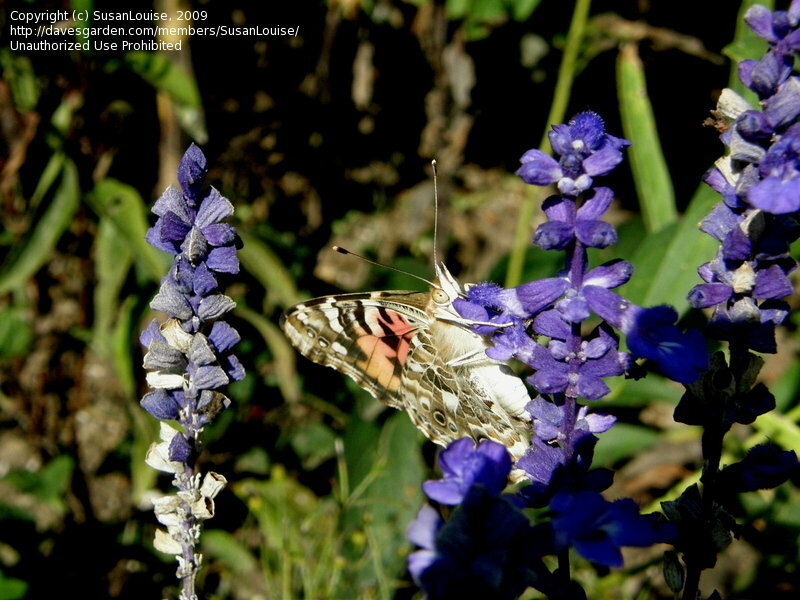 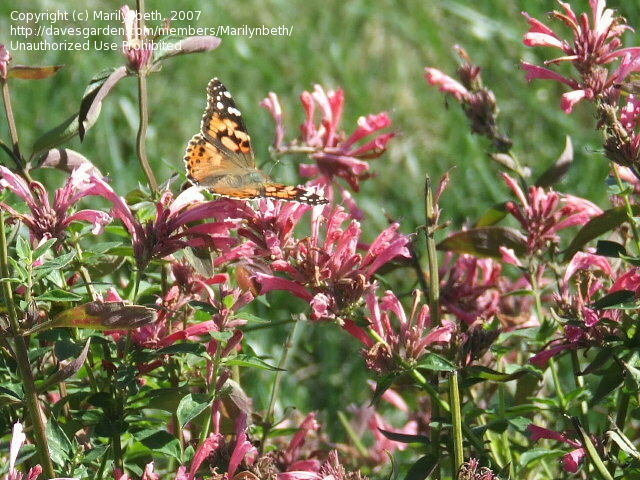 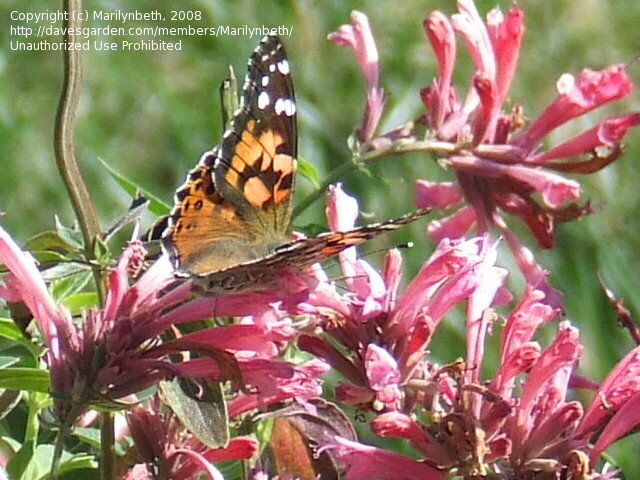 This lovely Painted Lady seems to be hugging a Salvia 'Evolution' bloom in our garden September 24th, 2008...adorable! 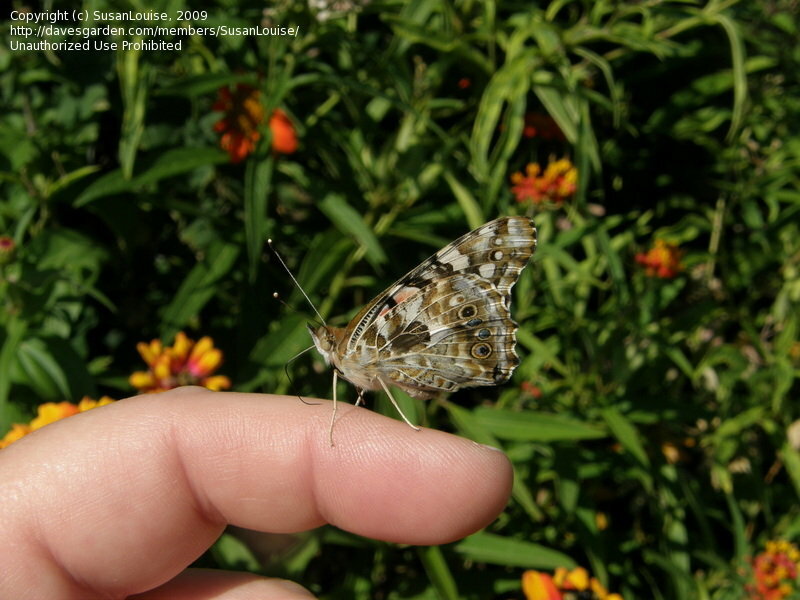 What a treat to have it sit on my finger!...Lincoln, Nebraska...pic taken near our garden on August 17th, 2009. 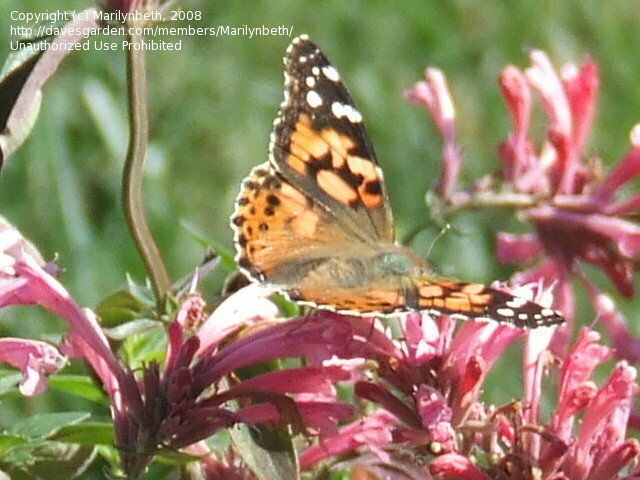 Photo September 9, 2009 on Showy Stonecrop (Live Forever). 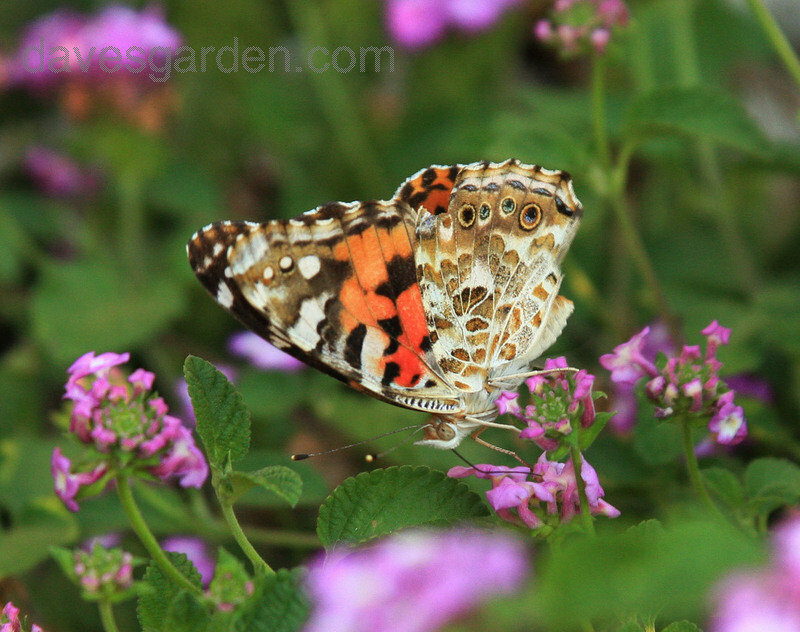 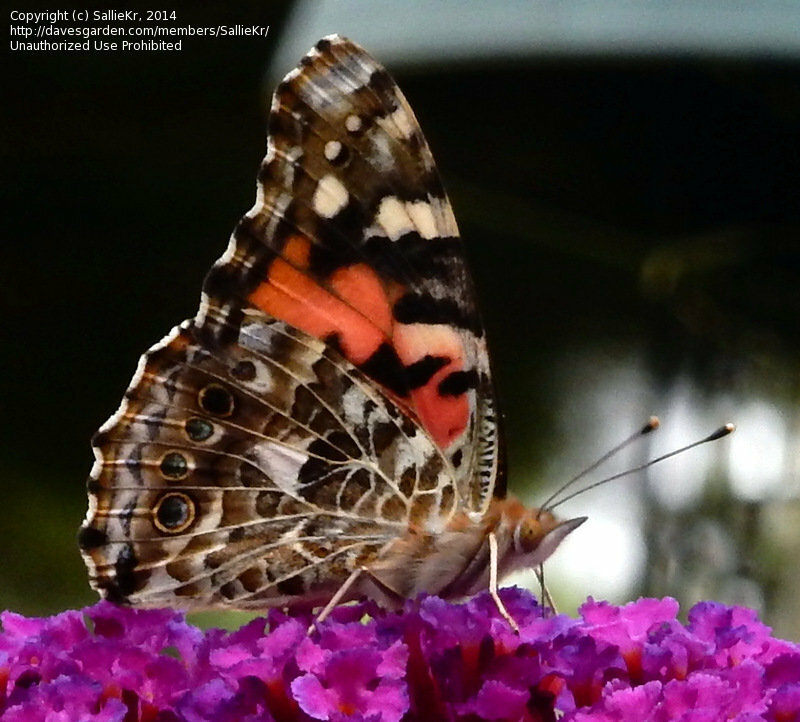 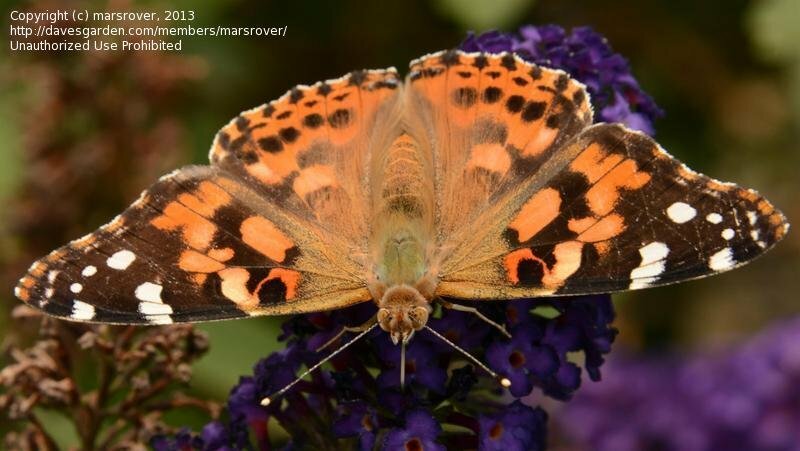 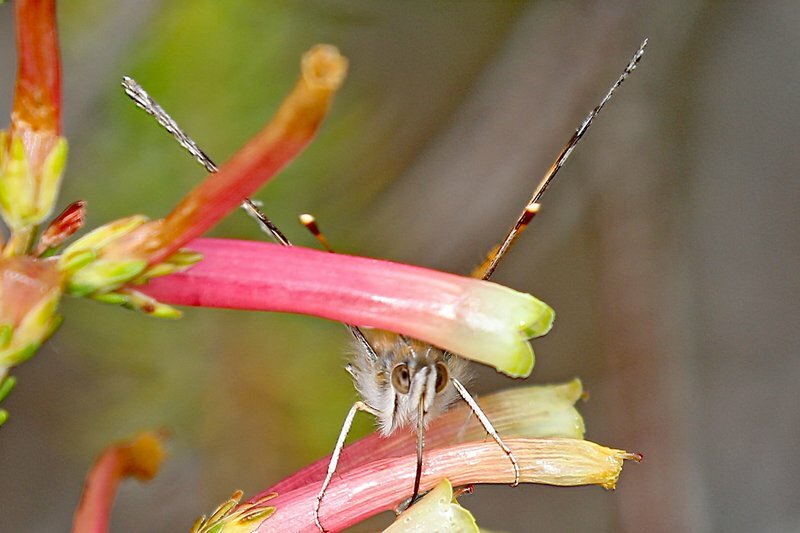 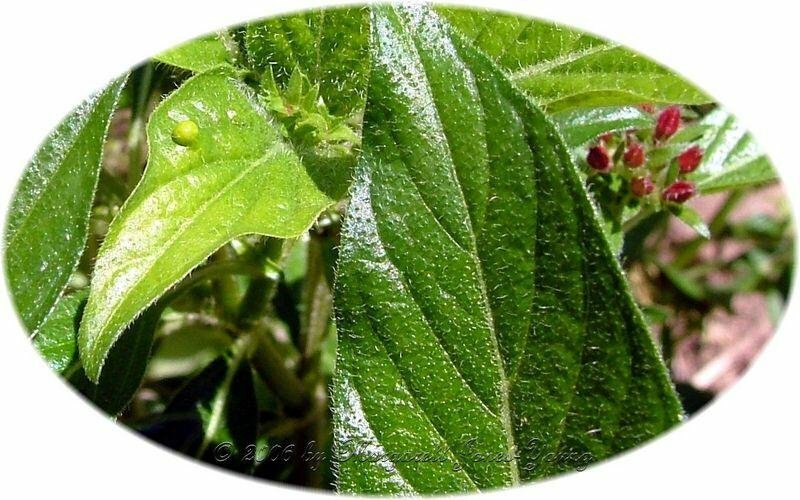 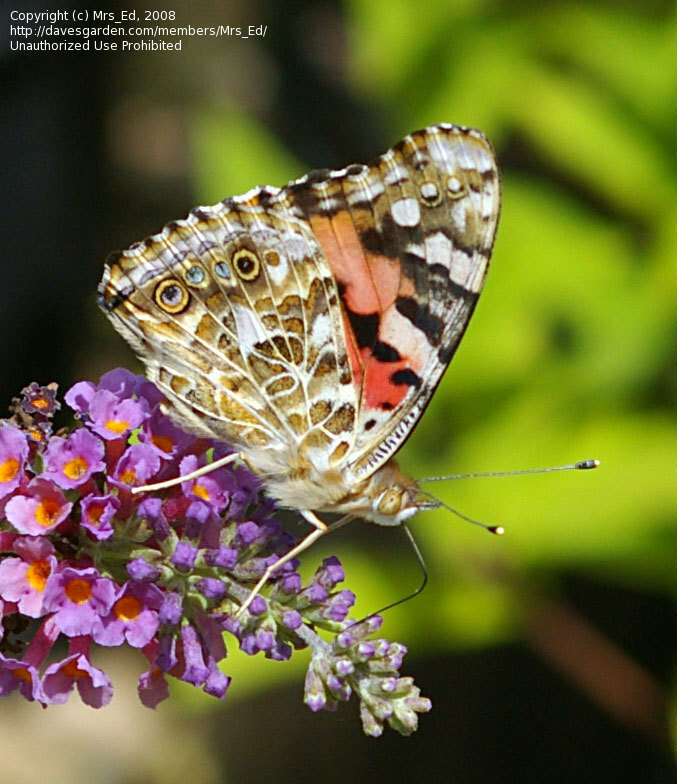 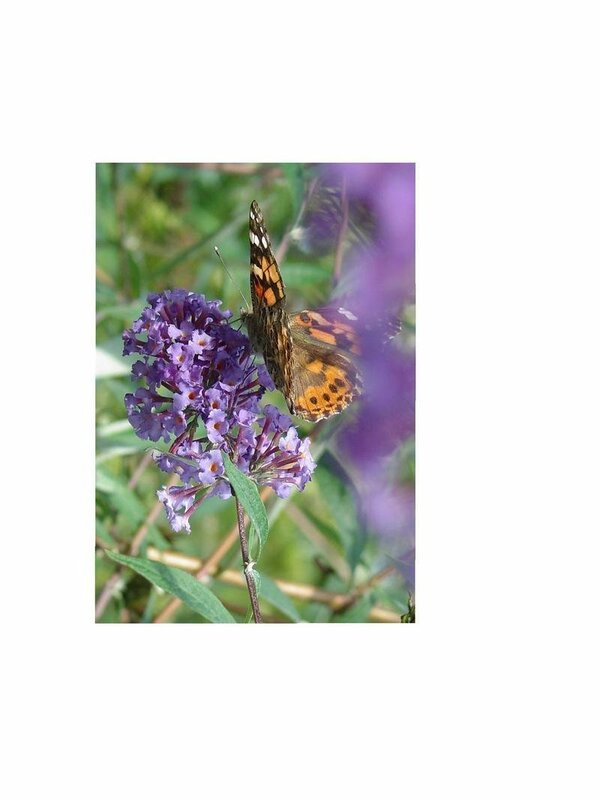 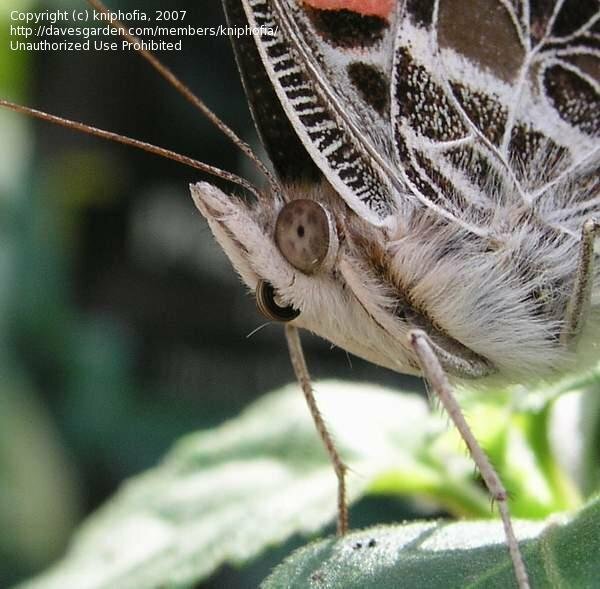 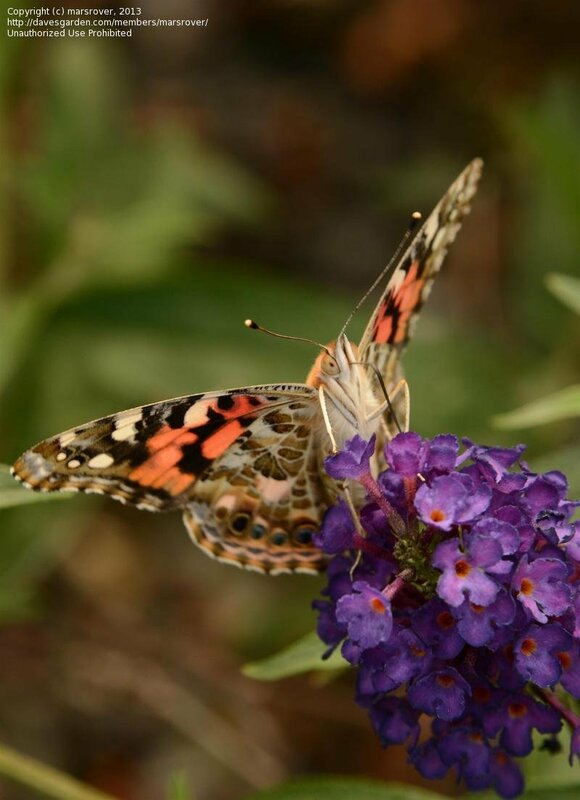 Photo taken 8/16/2014 on a Butterfly Bush in my garden.